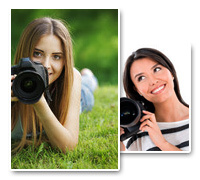 Digital picture data recovery software recovers your valuable wedding photographs, precious collage trip snaps which is lost due to corrupted digital media, virus attack, suddenly or mistakenly card being pulled out while camera or other device is on. 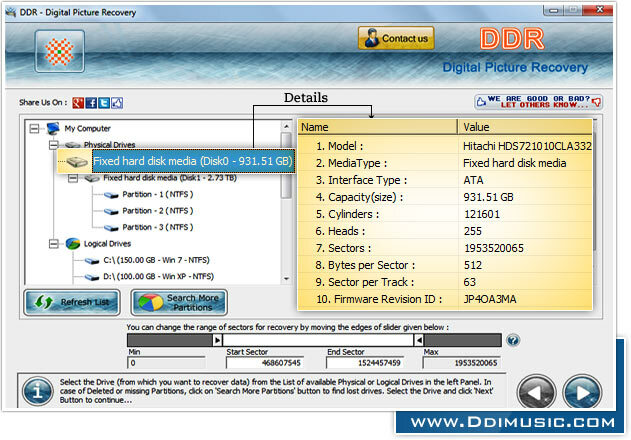 Picture retrieval utility rescue still photographs from multimedia memory card, secure digital card, extreme digital card, Smart Media, Compact Flash card, removable media like USB drive, pen drive, thumb drive, memory stick, jump drive or key chain drive etc. ◉ Restore mp3 mp4 music, audio-video clips from Apple iPod music player device. ◉ Recover data even when system generated error message is displayed on your PC. ◉ Save recovered music files at user specified PC location. ◉ Supports all latest iTunes software to manage data of iPod device. ◉ Scan ipod device to restore corrupted songs which are virus infected. ◉ Supports recovery of music files of any extensions.